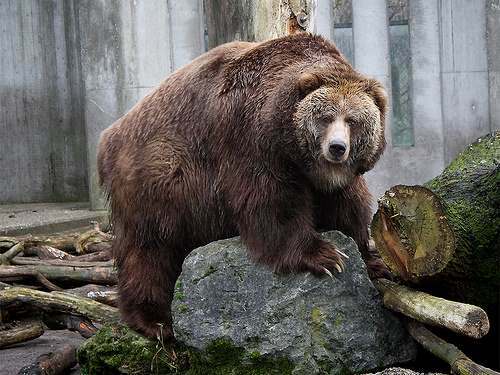 Adult Kodiak males weigh as much as 477–534 kg with the average weight of about 272 to 635 kg. Adult polar bear males weigh up to 350–700 kg with the total length measuring around 2.4–3 metres (7 ft 10 in–9 ft 10 in). You might like to find out the real difference between the Kodiak bear and a polar bear.